Driving: Driver Alert! High accident rate on this road with technical driving skills required. This driving guide is recommended. Please do not attempt to film or take photos while driving. This is a very popular trip for a number of tourists from all over the world. If in doubt about your technical driving skills in New Zealand please use the bus, hire a driver or fly. Please be aware of other traffic, especially those behind you if you are driving cautiously. With scenic spots, please indicate and ensure you are well off the road before getting out of your vehicle. 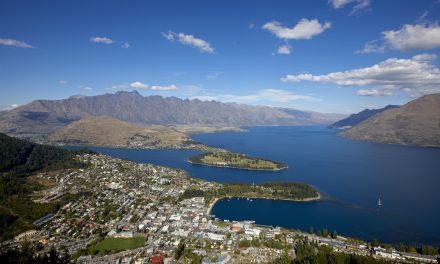 The first hour of your trip winds along the shores of Lake Wakatipu to Kingston. At the Devils Staircase section, keep an eye out for the marked viewpoint and please take care exiting and entering the area. 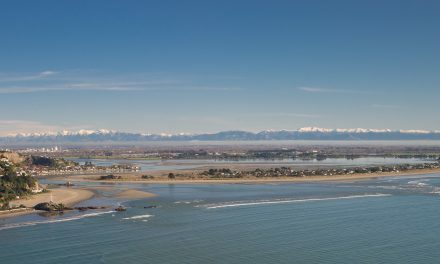 Once past the end of the lake at Kingston, you’ll pass over a plain of glacial moraine then through the rich farmlands of Southland with Fiordlands peaks in the distance to your west. 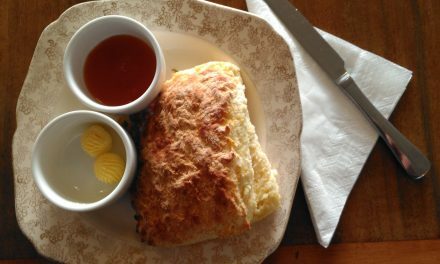 The small towns of Garston, Athol and the Five Rivers turnoff to Te Anau are amidst classic sheep farming country with lush green fields. Mossburn is next with extensive deer farming a feature of this area. The Dome Cafe is recommended for a break here with Te Anau another 40 minutes drive away. The landscape becomes more rugged as you head into the Eyre mountains and the glaciated catchment area of the Mararoa river, with ancient bog forests and swamp land also evident. 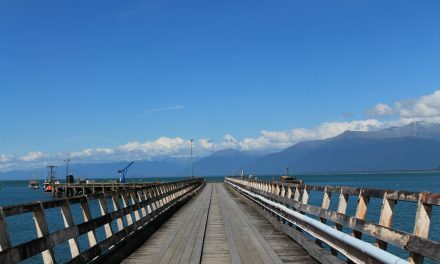 The lakeside tourist town of Te Anau was originally developed as a tourist town following the opening of the Homer Tunnel to provide road access to Milford Sound. 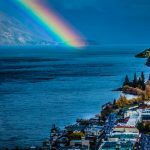 Sited on the border of Fiordland National Park with a range of accommodation, it is used as a base for trips to Milford and Doubtful Sounds, walking the Kepler and Milford Tracks and a host of other outdoor activities. 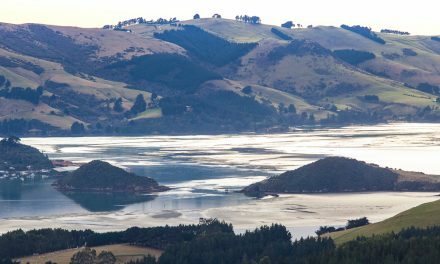 The lake itself is the largest in the South island, 65km long and 417 metres deep with much of it in the remote wilderness of the national park and the Te Wahipounamu World Heritage area. 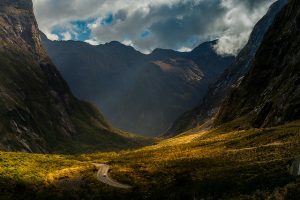 The Milford Road -Cleddau Valley. Geoff Barnes. 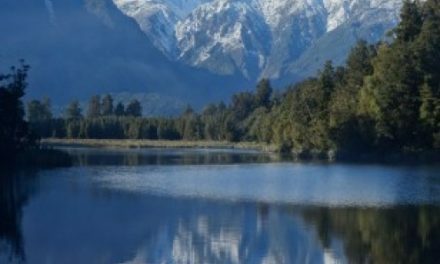 The popular drive from Te Anau to Milford Sound provides stunning scenery, but can be busy with some technical driving involved so we recommend first-time visitors read this guide to help with a safe and enjoyable trip. 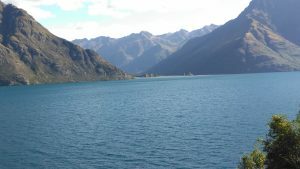 The road passes through the Te Anau Downs which is also the access point to the start of the Milford Track, Lake Gunn, the Mirror Lakes and up to the Divide at 918 metres above sea level. 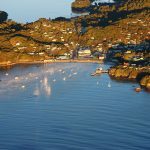 Access to another of the country’s Great Walks, the Routeburn Track is here and if you have time, consider a short walk to the top of the first part of the track for good views. The Homer Tunnel is another 15 km on and exiting you will be able to see Mt Tutoko and other steepsided peaks above the Milford Basin. Another 10 km takes you to the Cleddau River with a brief stop at the chasm suggested to witness the natural forces of the water at work that have shaped the rock over thousands of years. 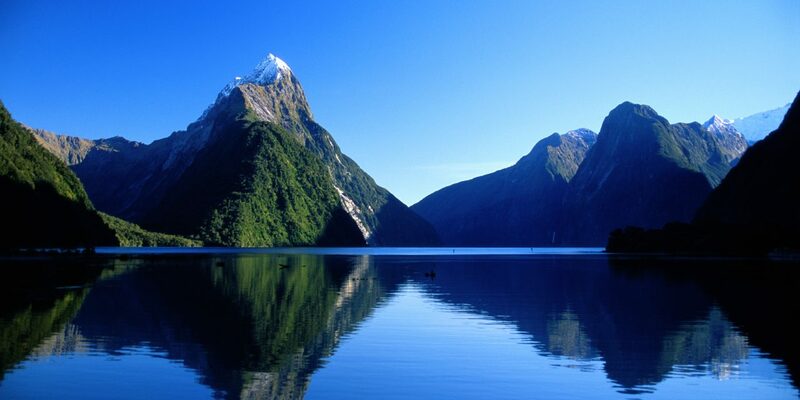 From here, the settlement of Milford Sound itself and the departure wharf for boat trips is another 12km.